The year 2017 celebrates colours. We have seen a lot of neutral kitchens get a splash of bright and bold. If you plan to do the same thing, we advise that you keep it to a minimum. 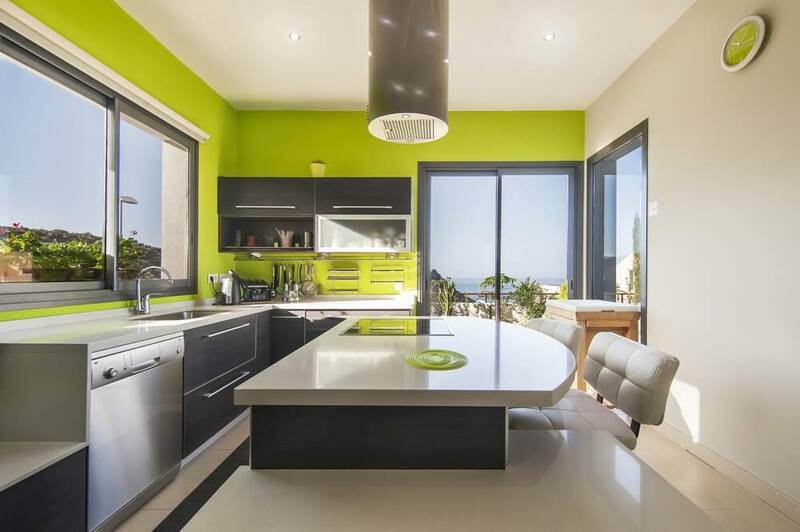 Using accent colours in the kitchen is a smart upgrade to do. On the contrary, some homeowners like subtle and dipped their fingers in stunning pastels. 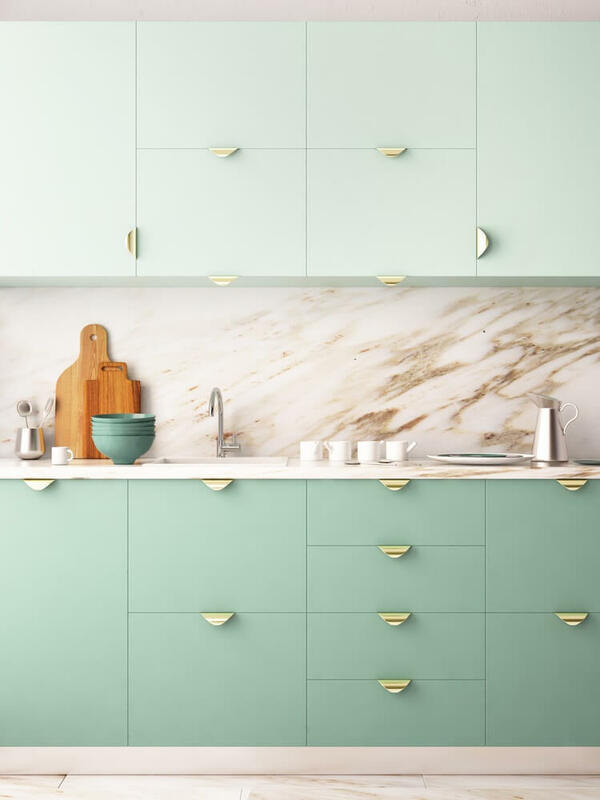 This mint green cupboard creates a sweet and charming atmosphere that’s elevated with a backsplash tile. 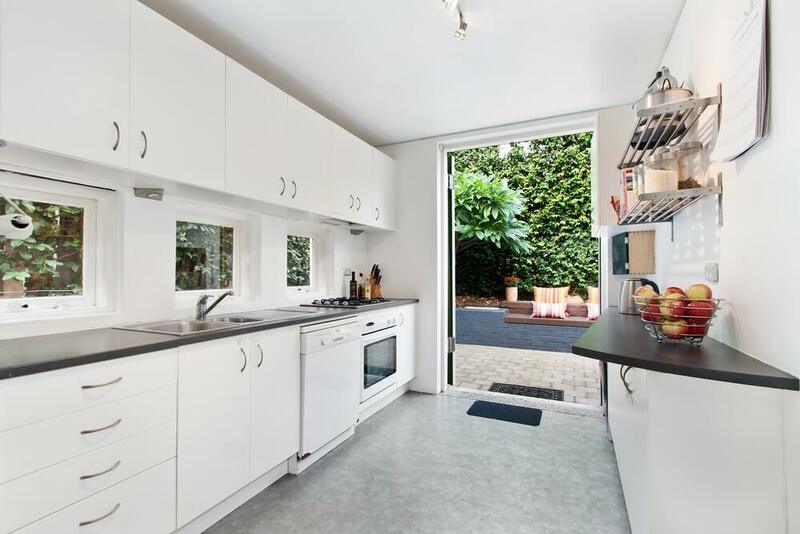 An average Aussie homeowner renovates his or her kitchen once. It is expensive and it is not wise to renovate your kitchen for the sake of following trends. What you need is a timeless kitchen design with looks that remain admirable regardless if it doesn’t adhere to annual design trends. First of, use of white as the base colour in your kitchen. White or any other light neutral colour is a canvas for the rest of the interiors. Hardwood flooring is also a staple. It brings warmth and cosiness, making our rooms more inviting. Plus, it fits in many kitchen styles — from contemporary, rustic, traditional, shabby chic, scandinavian, modern, eclectic, and more. Lastly, install simple cabinets that serve as a smart storage. If the cabinet is clean and minimal, it will be forever in style. 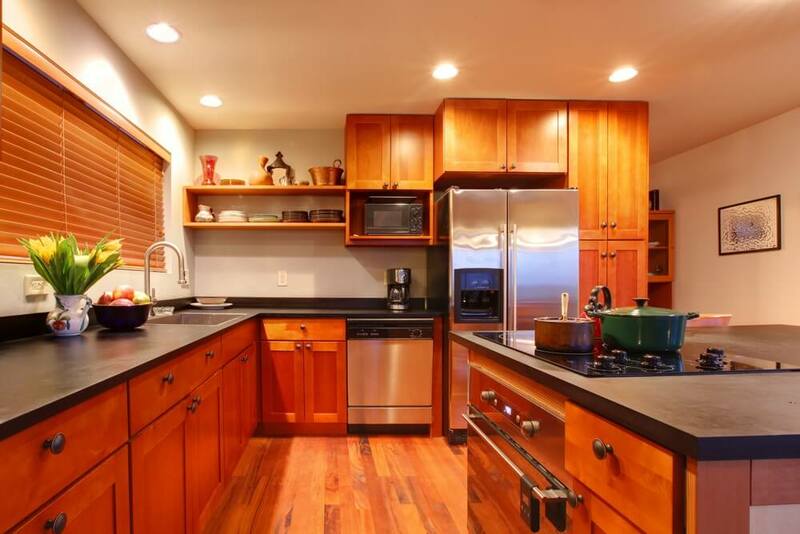 If your kitchen cabinetry has space saving features, you will fall in love with it even more. The standard sized cabinets with headroom before the ceiling can be upgraded to tall cabinets during the renovation. You can also experiment on open shelves. Store plates, wine glasses, or spices here. 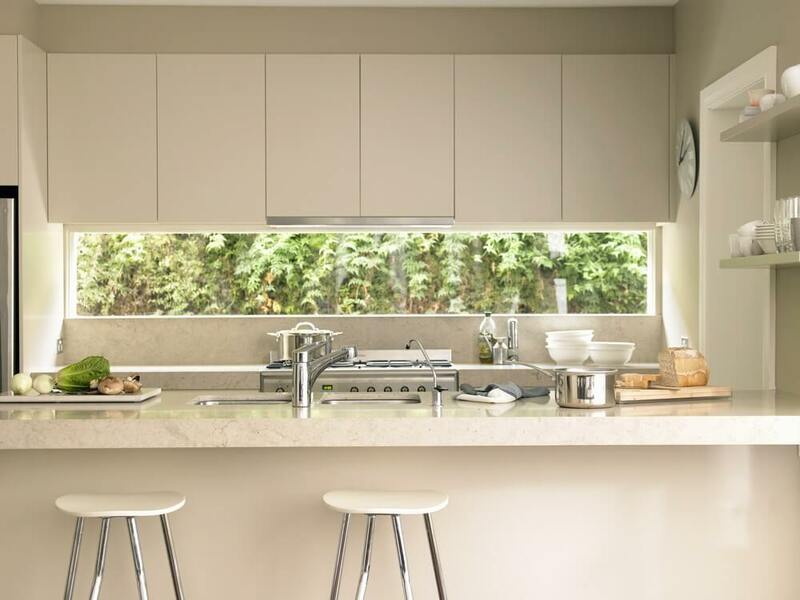 Open up your bi-fold, pivot or overhead windows to allow fresh air in and out of your kitchen. 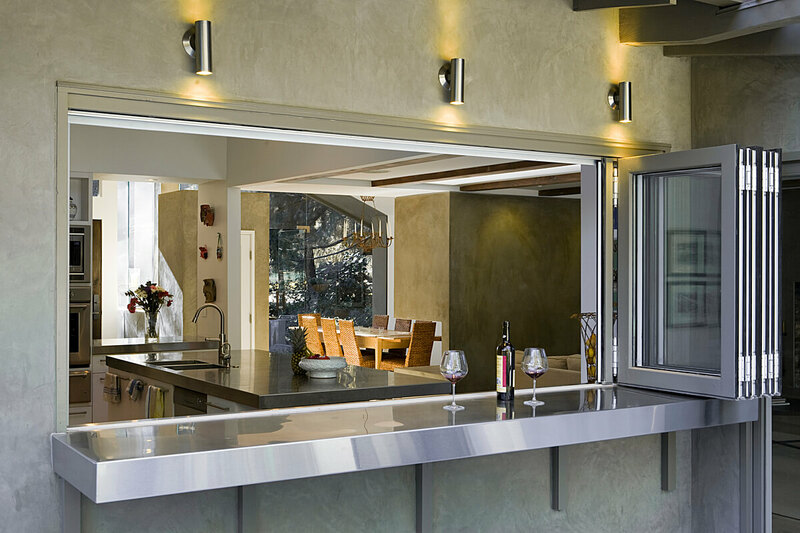 Create a window bar where you can hang out and eat out. Do not hesitate to have views of flowers and plants. It is spring! Take the beauty of the outdoors with you indoors. One way to inject personality and fun to your kitchen is the addition of one or two colourful pendant lights. You can be playful with cheery designs of light fixtures. You can also go subtle and formal with it. We hope this spring renovation design ideas inspired you and helped you in revamping your space. Find the best architects and home designers in Brisbane.